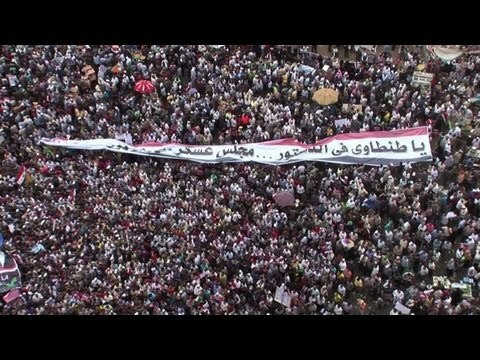 Friday was the Day of Reviving the Revolution in Egypt, writes al-Hayat in Arabic, with tens of thousands of protesters filling Tahrir Square in downtown Cairo. Some 30 political parties participated, including the Muslim Brotherhood and the Salafis, as did major New Left youth movements such as April 6 and the Movement of Revolutionary Youth. They demanded that the military stick to its promise to return to its barracks by June 30. They also want transparent presidential elections, held on time. The Nur Party of the hard line Salafi Muslim fundamentalists was especially vehement, demanding dissolution of the high electoral commission and a quick return to the barracks of the military. Nur’s presidential candidate was disqualified by the Electoral High Commission, a body that Nur wants abolished. The Muslim Brotherhood, however, did also make demands on the military government. Those who worried that the Brotherhood might do a backroom deal with the military appear to have been mistaken. The Brotherhood’s placards called for a purge of regime hold-overs from the Mubarak era, who are known as fulul or ‘remnants’.